Motorboat & Yachting: For the first time in many years, Port Solent Marina will be hosting a New & Used Boat Show, which will run from 11-12 July 2015. Port Solent Marina has announced that its New & Used Boat Show will be making a return this summer, after a long absence. As its name suggests, the new show will feature new and used boats and will run over the weekend of July 11-12. Local brokers Clipper Marine and Ancasta are involved, which means that brand new models from Bénéteau, Bavaria, Lagoon and Prestige will be on display at this free event. And Fleming Yachts, who recently opened a UK office in Swanwick, will be bringing along a brand new Fleming 55. On-site chandlery Marine Super Store will have a range of products from Raymarine, Navico and Garmin to demonstrate, while Golden Arrow will be demonstrating Honwave T24 RIBs and Torqueedo electric outboards. The RNLI will be offering owners a free lifejacket safety clinic, as well as free advice on staying safe at sea. Finally, those looking for a flashy sportscar can admire a selection of the latest models from Maserati and Porsche. Food and drink will be available from the Port House on-site restaurant, including a full fried breakfast and vegetarian curry for lunch (from 11:30 onwards). 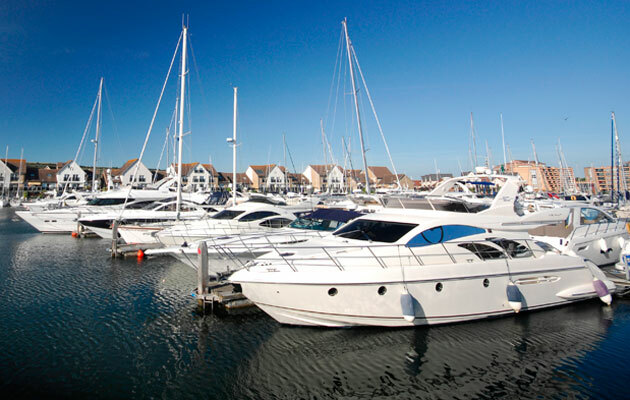 Port Solent Marina is part of the Premier Marinas group and features more than 800 berths measuring up to 40 metres. Motorboat & Yachting: Adriatic marina Porto Montenegro has launched a new scheme, which allows bertholders to rent out their mooring when they are not using it. Motorboat & Yachting: The organisers of the Cannes Yachting Festival have launched a new private jet service to make it easier for billionaire buyers to make a flying visit.